Jaymes is a private CMT (certified massage therapist) and certified Pilates instructor with practices in Los Angeles and Lake Arrowhead CA. A graduate of California Healing Arts College in 2005, he specializes in jade stone hydrotherapy, shiatsu and sports massage. He became Pilates educated through Pilates Sports Center and is also a certified TRX instructor. His clients come from diverse backgrounds, including sports, law, finance, medicine, and the entertainment industry. The integration of Pilates and massage provides tremendous relief for clients challenged by a variety of specific pains and injuries, and enhances the workouts of clients interested in building flexibility and strength. 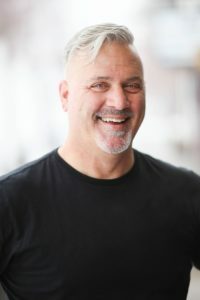 Jaymes has a passion for helping people renegotiate their relationships with their bodies and nurturing experiences of optimum health and well-being.